As a regular reader of the Mepa feature One World... 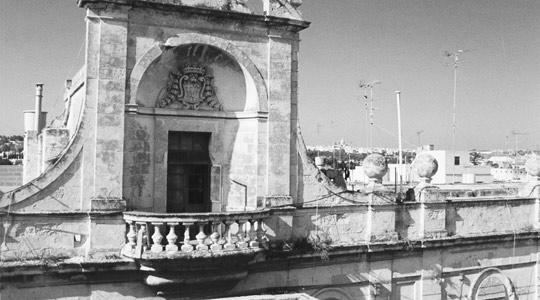 Protecting The Most Significant Buildings, Monuments And Features Of The Maltese Islands, I would like to express my appreciation to the series which highlights the importance of a number of minor gems of architecture which are relatively unknown to the public. The latest instalment throws light on the late mediaeval chapel of Santa Luċija tal-Barrani, which has been scheduled as a Grade I national monument. Up to some years ago the chapel was in a state of total neglect although fortunately the fabric of the structure was untouched. The chapel was rehabilitated by Mario Rizzo Naudi and his team of enthusiastic helpers and the miniature orchard surrounding it was spruced up with the planting of some trees. Unfortunately, the immediate surroundings are far from attractive but, hopefully, not beyond redemption. In my opinion this offers an ideal opportunity for an enterprise like the Environmental Landscaping Consortium to step in and embellish the site. The consortium's designers have proved themselves to have a wide range of ideas when it comes to the rehabilitation and embellishment of sites as can be seen in the roads, and more effectively, in some of the traffic islands. On a different note, I would like to bring up another building to the attention of the team responsible for the One World... feature: Villa Perellos which stands at the lower end of Arcade Street, Paola. The impressive baroque building with a frontage of some 27 metres and rising to a height of over 16 metres has had quite a turbulent history. From country house or hunting lodge of Grand Master Perellos it fell into a state of abandonment being turned into a livestock farm with the vast cellars converted to cowsheds and goat pens so that the building became known to the locals as Ir-Razzett. In the late 1920s it was converted into tenements housing over 40 persons and the extensive garden was turned into garages and sheds. Since that time the building began to be referred to as Il-Kerrejja, as it is known to this day. It now cries out for restoration especially its grand balcony with its badly weathered balusters and the great coat of arms of the Grand Master. Dare one hope that one day the palazzo will be restored to its pristine state?